You don't often get to hear about the outcomes that just missed being realized. I mean, sure, every once and a while you think 'oh, A-Rod could have been a Red Sock', or, 'oh, Vida Blue could have been a Yankee', or something like that. And you think about it for a few minutes. And it doesn't really go anywhere, because you can't make an alternate timeline when you know what already happens- the two will end up being similar, or working off each other. Today, or really yesterday, one of those unrealized outcomes popped out of the wild. Johnny Cueto was supposed to sign with the Diamondbacks last week. 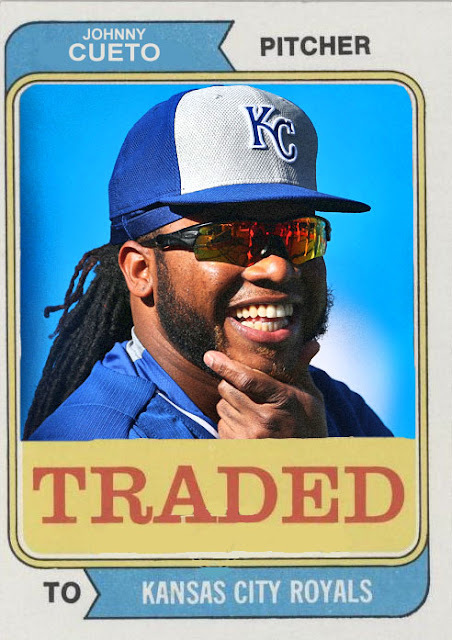 The entire organization was trying their absolute hardest to nail him down and give him enough provisions, but at the end of the day, Johnny Cueto decided he didn't want to go there. This was actually a pretty big deal. The Diamondbacks, up until last season, were completely out of the race, and had nobody except for Paul Goldschmidt worth hanging onto. It also didn't help that their pitching staff had almost completely run dry. This season their infield grew, their outfielders started hitting, and a few pitchers escaped from the rubble and started playing well. So, for 2016, the D-Backs have a stronger, and youth-driven, team, that could potentially do pretty well. Now...imagine all they have right now...and imagine Johnny Cueto on the mound for them. How ridiculous would that be? We're assuming that the Johnny Cueto that would have entered Phoenix would be the hard-throwing, fierce Johnny Cueto from 2008-July 2015 and also parts of October 2015, and not the limp noodle Johnny Cueto from most of the second half of 2015. 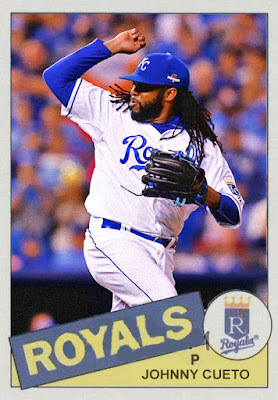 Yeah, the good Johnny Cueto. This would have given us a Cueto-Corbin-de la Rosa-Chase Anderson-Robbie Ray/Zack Godley rotation, which, while not perfect whatsoever, could be pretty explosive if Johnny Cueto is heading it off. So, assuming the season starts, and nobody huge offensively gets injured except possibly Tuffy Gosewisch or Yasmany Tomas or something, these guys could definitely slide into second or first and stay there for most of the season. Their main competitors will probably be the Giants (because 2016 will be an even season) and the Dodgers (because they're the Dodgers), and if nothing substantial happens to that team, and that pitching staff stays ON, they could have potentially clinched a playoff spot. So yeah. This is the move that could have changed the balance of power in the NL West, and could have brought a playoff run to team that hasn't had one in years. I'm not saying that won't happen, but Johnny Cueto could have been the catalyst to a playoff squad, just like Jon Lester was in Chicago. Johnny Cueto could have been the striker in Arizona. He could have set off a domino effect that could have brought legitimacy to one of the jokes of the NL as of late. But he said 'no thank you'. And moved on. And just like that, an alternate reality closed in on itself, and crumpled into the trash bin. 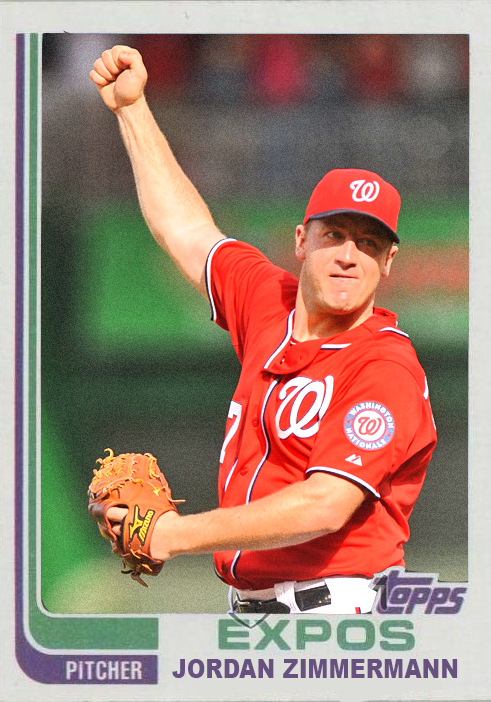 I'm not calling Jordan Zimmermann mediocre, by the way. Far from it. He's a great pitcher, and he'll do well in Detroit. But that's the thing. Detroit is very similar to where Jordan Zimmermann just came from-- just a team with well-distributed power that starts strong and finishes poorly. Zim had a taste of this the last few seasons in Washington, especially in 2015. The Tigers had it even worse, starting the season circling first, and ending the season circling last. The Tigers, by the way, have as much offensive power as the Nationals. A huge star to build the roster around (Harper and Miggy), an aging slugger that still has some stuff left (V-Mart and Werth), a couple of speedy infielders (Jose Iglesias, Ian Kinsler, Ian Desmond and Danny Espinoza), and some powerful outfielders (Denard Span, J.D. Martinez). The pitching staffs are similar in that they're depreciating by the second, losing pieces of what used to be a mega-rotation. The Nats have less of this, but Zim is the first step to the jenga tower falling over. Once Zim leaves, Gio Gonzalez or Doug Fister could go too. I don't know if this helps the Tigers, or hurts the Nationals, or what. I don't know if one team's going to do worse than the other, because they could both do pretty well, but they're not suited for endgame position. Still, nabbing Zim is one way the Tigers can at least try to move back towards legitimacy in 2016. Today, the Blue Jays made a very big deal by signing J.A. 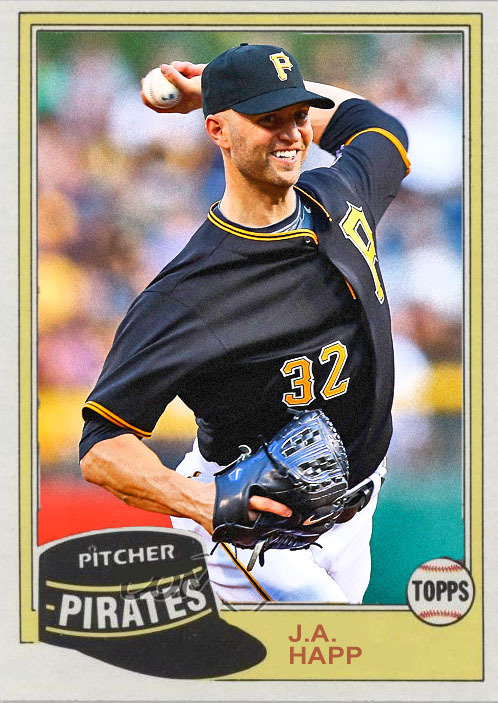 Happ, who had a very nice comeback season this year with the Mariners and Pirates, to a 3-YEAR contract. This means that Happ, Marco Estrada, Drew Hutchison, R.A. Dickey and Marcus Stroman are all locked up for 2016. A rotation led by RA Dickey, and ending with Drew Hutchison or JA Happ is actually a pretty solid all around rotation. Only problem is it doesn't leave room for potential free agent David Price. Which leads me to believe that the Blue Jays are thinking about a 2016 without David Price. And this could be pretty huge. David Price, in my opinion, was the main reason why the Blue Jays made it so far this season. He was dominant, deadly, and completely on, and lifting him out of Detroit was the best decision they could have made. But now, they're starting to think rationally. They already know that Mark Buehrle is gonna be gone in 2016, and they already have Stroman and Estrada working the middle of the rotation. They also know that EVERYONE AND THEIR MOTHER will be after David Price, and that they'll likely be driving harder bargains than Toronto, who already has a few mega-contracts filling up the payroll. So with this move, they sealed it. Unless they have another mega-trade up their sleeves to fill up roster space, and in my opinion, with this rotation they really don't NEED a mega trade, they're absolutely fine with losing David Price to a higher bidder. JA Happ can be a solid 3 or 4 man, and can give you some nice innings. And at this point, if they do re-sign Price, it'll break up the zen of this really nicely laid out rotation. Somebody will either have to go or have to be a reliever again, and JA Happ has had enough of that. I could be wrong, and David Price could be a Cy Young winning Toronto Blue Jay in 2016. But it's looking like the Jays are thinking seriously about a less showy roster, with less pressure on one tentpole pitcher. And that's a really good direction to go toward. Jed Lowrie was traded to Houston, you know, the FIRST time, in 2011, by the Red Sox, who had grown tired of Lowrie's...adequacy. Funny part is they traded him for Mark Melancon, who they wouldn't especially use. Lowrie didn't even spend a full season in Houston before being traded to the A's for Chris Carter and friends. And then, after two seasons for semi-contending A's teams, he re-signed with the Astros, and became a relatively big part of their lineup, despite being injured for a large chunk of the year. However, with the current starting shortstop in Houston being a Rookie of the Year and all, there really is no reason for Jed Lowrie to still be a member of the Houston Astros. So, naturally, the Astros traded him BACK to the A's. I swear to God, at this point Jed Lowrie is basically a human game of Pong, going in between Houston and Oakland, back and forth every few seasons. I feel like each organization should just keep a locker open for him, just in case he comes back. 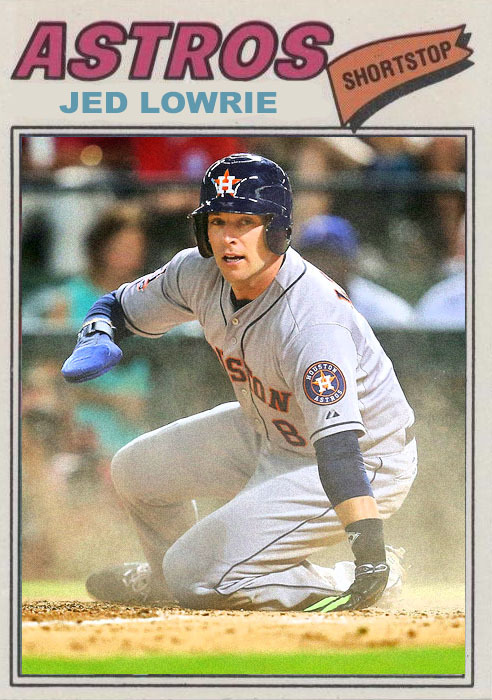 Even better- Maybe the A's and Astros should do a promotion where every time they play each other, Jed Lowrie switches teams until the next time they play each other. Just to keep him on his feet. The Tigers have not made any huge moves yet, with the exception of nabbing Francisco Rodriguez. But they're also in the process of making some very small moves which could help to bring them back on top in the AL Central. And this is a pretty big deal, seeing as the Tigers almost won a World Series 3 years ago. The Tigers just traded some small prospects to get Cameron Maybin back, who hasn't been a Detroit Tiger since they were a perennial last-place team, back in 2007. So joining a last-place, pitching-deprived Tigers team may feel like nothing's changed for Maybin. 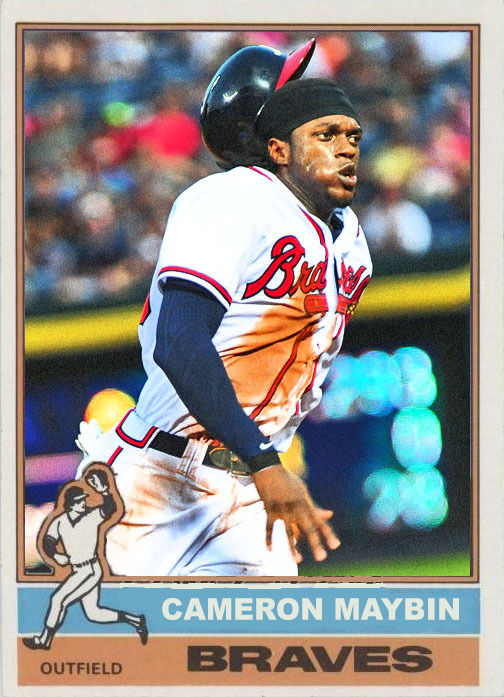 Maybin, however, is now a prime outfielder, and could definitely win the LF job over Tyler Collins for 2016. This doesn't mean anything, really, because the Tigers need to tighten up their pitching staff. Verlander-Simon-Sanchez works well enough, despite some aging, but Kyle Lobstein, Shane Greene and Daniel Norris need to either improve or leave. Norris is probably the most optimistic-looking of the three, and if the other two don't work, they need to pipe in people who do. The Tigers aren't expected to be a huge force this offseason (obviously), but if they can make little moves that can rebuild their pitching staff, and tighten their roster ever-so-slightly by using smaller players, small trades (like the Maybin one, which barely even got any front-page coverage), and little momentums, they can potentially get back to third or second place. The AL Central could be a tough division, because the White Sox are one or two big players away from contending, and the Indians have the toughest pitching staff in the central, that could be trouble if backed up by a good lineup. If the Tigers can at least get by those two, and potentially fight the Twins, they could be cooking with gas. Not saying this could definitely happen, but from the way they've been working so far...the Tigers have a chance. Called 'em both. 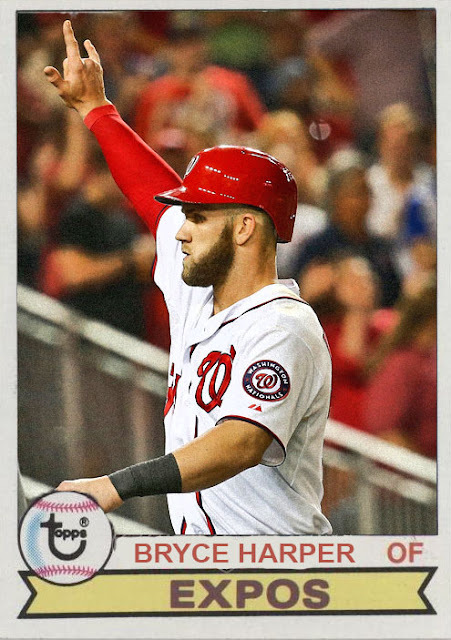 I did think Harper would have to contend with Anthony Rizzo a bit, but I knew he'd get it. Donaldson was a definite. We've got all our awards won. Ten days 'til December. Ten days 'til Uncustomed Heroes of December. I was skeptical about Jake Arrieta winning, because I didn't know if he'd get it, or if Zack Greinke would get it. It was a bit hazy and skeptical, and I didn't know which of them would win. I didn't think Kershaw would take it, because he's got 3, and he wasn't on his A game all year, but I knew it would be either Jake or Zack. 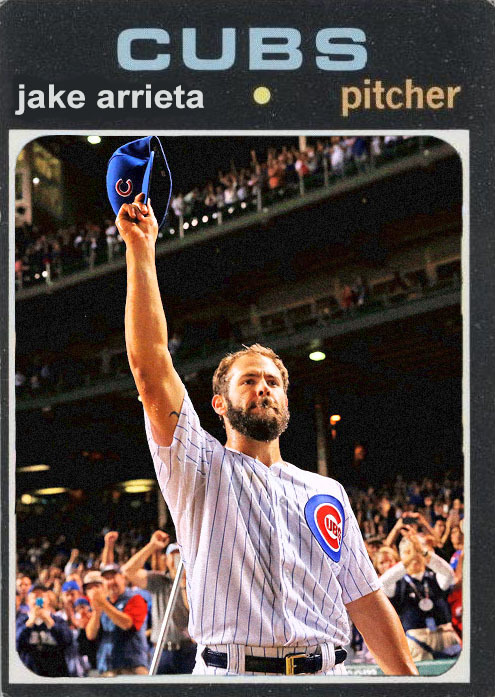 And I'm pretty happy that Arrieta took it, because that last half of the season really sold it, especially how dominant he was in the postseason. This guy is a landmark arm, and deserved the edge over Greinke, though I could have seen either one winning. Meanwhile, this guy winning on the AL side was no surprise to me. 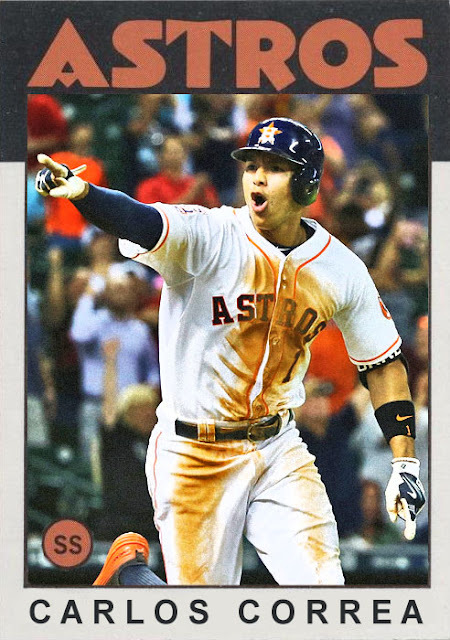 He was dominant for the whole season, and broke out in a huge way, claiming his fan base, and helping the Astros get to October again. 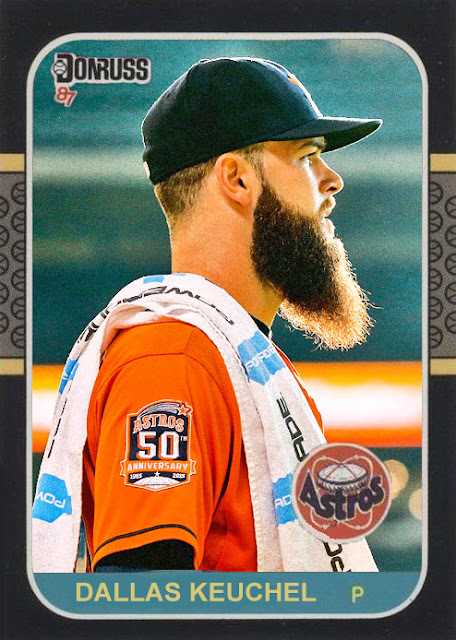 I feel like Keuchel is capable of having a bunch more great seasons like his 2015. Tomorrow, we've got the MVPs. And while I can pretty much call the AL winner, I'm interested to see how the NL voting goes, because it could be one of two players. 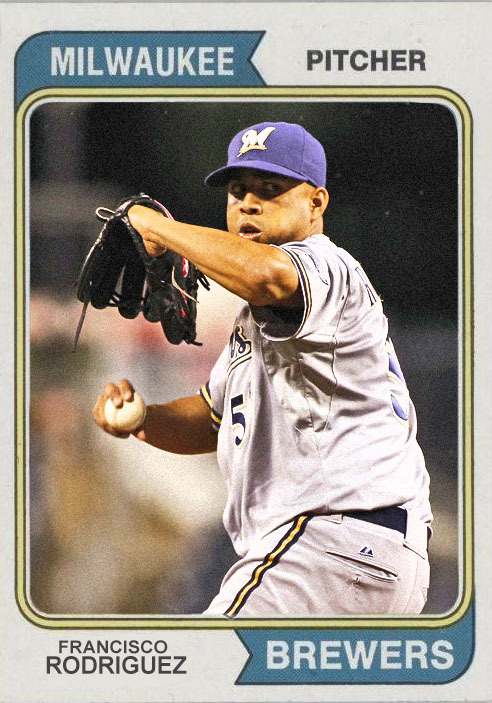 I still stand firm in my belief that Francisco Rodriguez is one of the best closers in baseball. Sure, his numbers have dropped, and he doesn't breathe power like he did in the mid-2000's, but he can still rack up 30 saves per season, easily. He's had a very nice resurgence in the last two seasons, and has made two straight All Star teams with the Brewers. The Tigers, for the second season in a row, really, have had trouble finding a permanent guy for the ninth inning. Joe Nathan is basically done, Joakim Soria has proved a better setup man, and none of the younger guys can prove themselves more than middle relievers. So, Detroit needs a closer, and Milwaukee needs to rebuild. So, trading K-Rod to the Tigers for a prospect definitely helps both parties. Neither the Tigers nor the Brewers are really gonna be doing anything big next year. The Brewers are trying to rebuild and rethink every position not filled by Ryan Braun, and getting rid of K-Rod helps that. The Tigers are trying to contend again, and are very close to doing so, except they're still a flawed team, and they're clinging too hard to their pillars, Miguel Cabrera and Justin Verlander. This should work well, and i'm interested to see the visual of K-Rod as a Tiger. Two amazing rookie players, and two incredibly fitting Rookie of the Year awards. Could not have called any other outcome if I tried. Congrats to both Bryant and Correa. Here's hoping for careers that are as good, if not better, than their 2015 seasons. 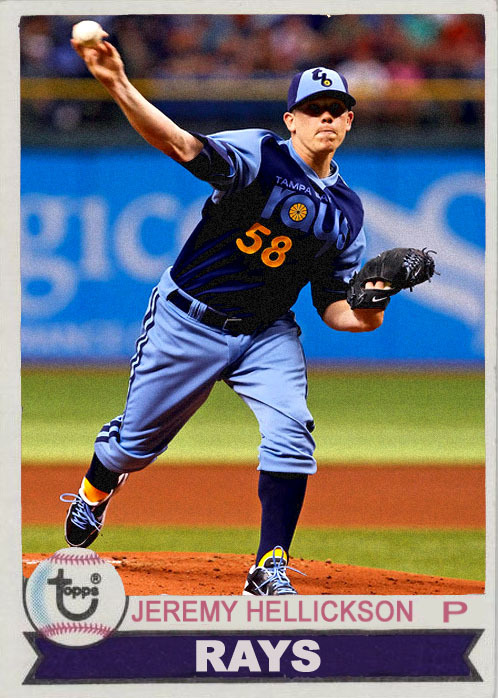 Today, Jeremy Hellickson, the 2011 AL Rookie of the Year, was traded by the Diamonbacks to the Phillies, freeing up some roster space for the D-Backs, who were lugging along his contract like a diseased mule. Now, and i mean currently, the Phillies have one of the oddest mixtures of talent swimming around their supposed pitching rotation. Sure, they have actual amazing talents like Aaron Nola, Adam Morgan and Jerad Eickhoff, and those three can definitely lead that rotation. But they also still have people like Aaron Harang and Jerome Williams, who will probably be dealt with later on. Additionally, they still have Matt Harrison, who was injured last year, but was traded to Philly for (shudder) Cole Hamels. Texas got rid of him because they didn't know what he had left. Again, lucky us. They also aren't offering anything to Cliff Lee, and we're also assuming they're hanging onto David Buchanan. So, with Hellickson now, that makes a whopping EIGHT pitchers who might be in the rotation next year. i mean, unless they want to give Philippe Aumont another chance. I highly doubt the Phillies are going to be able to compete next year, but I wish they would decide whether or not they want to be a homegrown team. Because this rotation is swinging between 'homegrown team trying to reestablish itself' and 'last-place team searching for an answer while juggling people who used to be good'. And it's not looking too great. Man, first the Rays get stronger, now the Red Sox add one of the best closers in baseball. Baseball doesn't want me to sleep this week, does it? Kimbrel is consistently lights-out in the ninth, and is one of the most aggressively dominant closers since Eric Gagne. It was bad enough that he had to play my Phillies every once and a while back in the day, so it was good they traded him out of the NL East. But now...Kimbrel has to face my Yankees in the ninth. I was fine with LITERALLY ANY OTHER TEAM nabbing Kimbrel. The Sox don't need a closer, because they have Koji Uehara, but because he was injured this season, that scared them, so now apparently they need to replace him with Craig Freaking Kimbrel. The Padres did get some decent Boston prospects in return, and this is well and good, but this could be a potentially deadly acquisition for the Sox. However...the Sox right now are very run-down, very scattered. They don't have a ton of pitching, they don't have a lot of huge hitters (Papi notwithstanding), and they're very depleted in terms of what they were in 2013. Getting a closer may not help the entire thing. 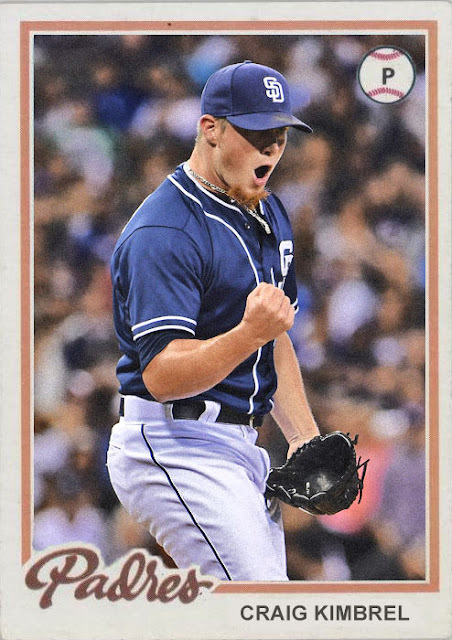 Kimbrel's gonna give them 40 saves in 2016. I don't think he'll be pitching into the postseason or anything, but he'll be solid. Last year, and also sort of this year, I scolded the A's for giving up Josh Donaldson for Brett Lawrie. Trading a third baseman for another third baseman makes no sense, because one of them is ultimately better, and whoever isn't is gonna cost their team a goldmine. It cost the A's big time this year, because Josh Donaldson is headed, most likely, for his first AL MVP, while Brett Lawrie...well, he did alright. They never learn, do they? Because tonight, somebody else decided to trade a shortstop for a shortstop. And, like the Donaldson deal, one is gonna make their new team much happier than the other. And it's not the guy at the top of the post, unfortunately. Here's the deal, literally. The Angels sent Erick Aybar and a few prospects to the Braves, just to nab Andrelton Simmons. These are very similar circumstances to the Jays-A's deal. The Angels are looking like they might be good next year, and Simmons could be their breakout star. 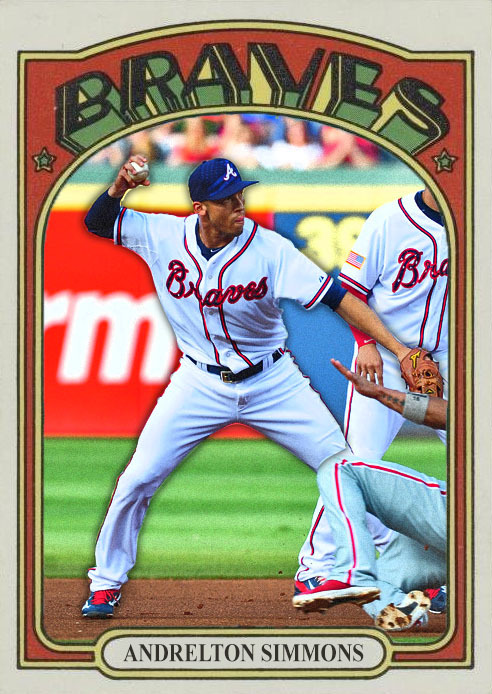 The Braves are looking like they might be in for another down season, and Aybar may not help that a great deal. I mean, the prospects they sent to the Braves look good, and Aybar could be pretty nice, but I'm not sure they should have let Simmons get out of hand, because he's a REALLY GOOD infielder, and he's a nice speedy little bat. He's a guy that should have been a Brave for a few more years, and could be a piece of a great team. Now, it looks like the Angels could be that great team. Again, this trade could help both sides, and may have been smart, but I really don't think the Braves should have given up Andrelton Simmons that easily, especially to a team that very well could compete next year. Still, interesting trade. Love to see some more like it. Well, Cashman finally made a decent trade this year, to make up for July. And it's a pretty telling one for the way the rest of the offseason is going to go. So yeah, the deal was a pretty simple one. 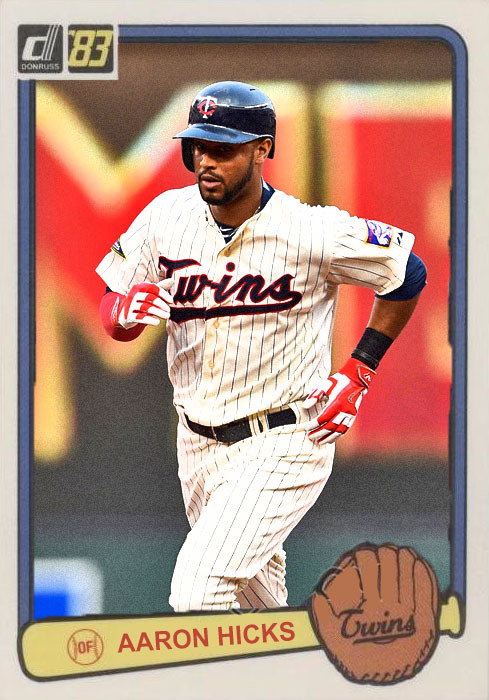 Aaron Hicks goes to the Yankees. John Ryan Murphy goes to the Twins. Pretty straightforward, no real tears on either side. The Yankees, with Hicks, are getting a nice outfield arm and an improving bat. You also get a guy very similar to Ben Revere when he was traded to the Phillies in 2013. Speedy, good average, just needing a good roster to be a part of, a good springboard to become truly great, and Aaron Hicks as a Yankee might work really well. Only problem is that Yankee fans are perceiving this as simply a cheaper alternative than simply re-signing Brett Gardner, who is up for free agency this season. It's also looking like they're not going to re-sign Carlos Beltran, so maybe they could keep Gardner, and it could be an Ellsbury-Gardner-Hicks/Young outfield, which is actually a pretty decent prospect. But if Gardner goes, it could be tougher, because Hicks hasn't gotten to the point where you can build an outfield around him yet. Giving J.R. Murphy to Minnesota is simple, because they need a backup catcher, as Kurt Suzuki is getting older, and also, the dealing of Frankie Cervelli proves that Yankee backups can prosper and blossom once dealt to other teams. This a smart, breezy deal, and a good one to get the ball rolling on the Yankees' offseason. Hope it can only go up from here. Forgive my lack of complete enthusiasm, but I sort of thought the FIRST BIG TRADE OF THE OFFSEASON would have a little more oomph than just trading a few middle infielders or something. I mean, there is a lot to analyze, and a lot of pieces going back and forth, but there's not a ton of star power. However...it's a great strategic move for a team that is desperate to get back into the spotlight. Brad Miller and Logan Morrison are the big pieces here, being sent to Tampa Bay along with Danny Farquhar, in exchange for Nathan Karns, CJ Riefenhauser, and Boog "No, not that one" Powell. Obviously this is a move that benefits the Rays, because the Rays slumped to 4th place this year, and they've been struggling to stay in it for the last few years, simply because they haven't been good enough. Evan Longoria and Chris Archer can only do so much. Miller was probably the big ticket item, as he can give you some nice defensive ball, and him and Forsythe could make a really nice double play combo (assuming Asdrubal Cabrera goes somewhere else). Morrison can give you 20 homers a year, and the Rays need a ton of those. However, the Mariners could get a lot from this in the long term. First of all, Powell's a guy who was traded in the Ben Zobrist deal. He's obviously got some potential, and has been the extra man in a few trades now. He's probably gonna be big when he comes up, and hopefully it will be for Seattle. Karns is an even bigger deal, as the Mariners' pitching has been slowly improving. The trio of Felix-Iwakuma and Walker have done some pretty nice things so far, and Mike Montgomery was a steady fourth for a while. Karns was excellent this season in Tampa, and gelled well with the Chris Archer-Erasmo Ramirez-led rotation. Only thing is half that rotation is injured, and once everybody gets back there won't be room, so Karns going to the Mariners...where there IS room, is a good idea. The Rays are probably going to be the bigger team next year (soon to be seen in my 2016: The Year in Irony, most likely), but this is better for the Mariners in terms of the future, and that's insurance the M's REALLY need right now. So yeah. Bit of a bore, but brings about some interesting developments, and makes sense for both sides. Not much else to say. Ladies and Gentlemen, we've reached a milestone on Mint Condition. After nearly seven years, countless customs, and dozens of posts about hating David Freese, Mint Condition has reached its 2,000th post. I know. What took me so long? Bottom line, I've made it to my 2000th, and I've been through a lot. However, every once and a while I can't help but look...into the future. That's right. Seeing as I've written 2000 posts, I'd figure that I make some obscene predictions, as a way of paying homage to an old Late Night with Conan O'Brien bit that not a lot of people remember. In the Post 3000... Joe Buck will still be covering NFL and MLB games at Fox. At least that's what the guy at the mental hospital is supposed to tell him. In the Post 3000... 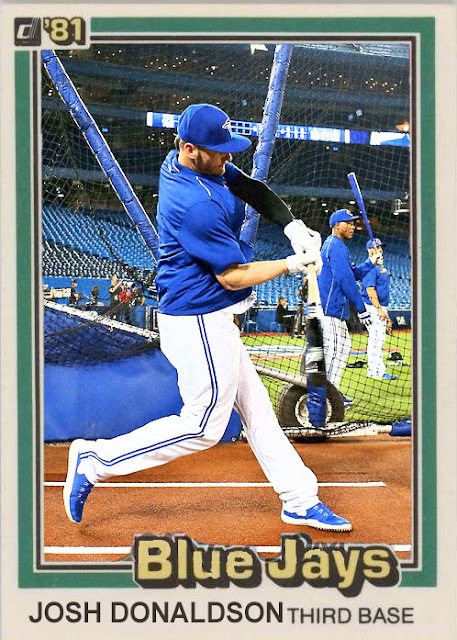 The MLBPA will finally agree to give Panini an official license to make baseball cards with logos. Unfortunately, they gave this license to *A* panini. Fortunately, it's a very tasty one. In the Post 3000... Pete Rose will make a dramatic return to the spotlight when it is announced that he also bet on when McDonalds would re-introduce the McRib. Of course, Rob Manfred doesn't give two shits and lets him in the Hall of Fame anyway. In the Post 3000... Nelson Cruz will have the first down year of his newly revitalized career, when he ONLY bats .280 with 30 home runs. In the Post 3000... A year after his induction into the Pro Football Hall of Fame, Brett Favre will announce his return to the sport, to play quarterback for the Chicago Bears. The deal falls through, however, when the Bears realize Favre wasn't joking. 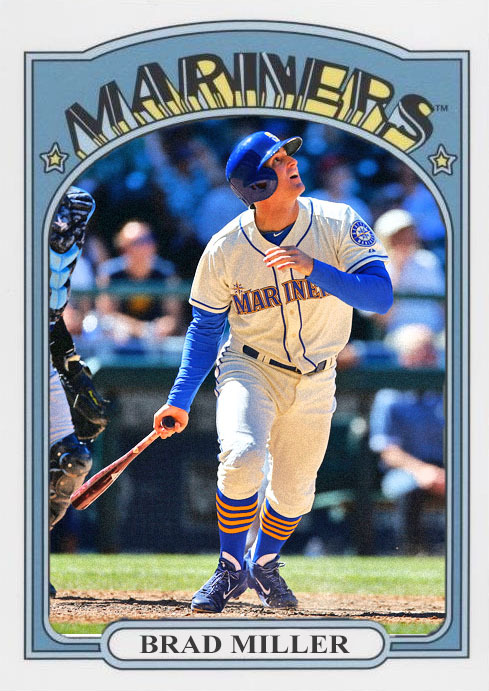 In the Post 3000... Topps will finally answer collectors and bring back the much-beloved Topps Total. It will be hobby-shop exclusive, have a 200 card set with an extra 60 short printed cards, and have three sticker autos per box. Each box will also come with a hand-signed note from the CEO of Topps, going "NYAH!" In the Post 3000... The Chicago Cubs will FINALLY manage to make it to the World Series. However, it will have all gone awry once it is revealed that manager Joe Maddon has, in fact, been taking performance enhancing drugs. And so has the magician he brought in halfway through the season. In the Post 3000... For the first time ever, Major League Baseball will be played in Mexico...however, this backfires when the attendance falls lower than Marlins games. In the Post 3000... The Mets will advance to the NLCS, where they will fall victim to a hair-raising blunder, and be no-hit by the Dodgers, which will cause Keith Hernandez' head to spontaneously combust. Which, in my opinion, could be pretty nice. In the Post 3000... Mint Condition will still be your supplier of custom cards, box breaks, and relatively funny posts that use the word 'damn' too much. Only IN SPACE...or something. Congratulations to the Kansas City Royals, for bringing home a much-deserved World Series, and for dominating this 2015 season from start to finish. Even in 5 games, this was still a fun series, with a ton of extra inning games, a lot of drama, a lot of suspense, and a lot of passion, and pride, from both sides. I think this was a hell of a way to end the season, and it makes me look forward to the next one. Well done Mets, and Royals. Now...we're officially in the offseason. Let the sparks fly. Now that Halloween is out of the way, and now that the World Series is beginning to reach a climax, I figure that, before the blog starts its usual baseball-less supposed dark period (which I am going to TRY to make not happen this year), I'd get the third and final part of this box rip out of the way. Besides, we still haven't found our hit. And, while it's not the greatest thing I've ever pulled out of a box of cards or anything, it's pretty good. Pack 25- I love this pack, because there were two cases of the ASG card and the base card for the same player. Two guys on awesome teams who didn't get a ton of playing time this year. Ross, however, is Jon Lester's personal catcher, so I do have some respect for him. DOUBLE K-ROD. Man, I'm so glad he's back to pitching well in the ninth again. Alex Wood, the one pitching acquisition that did WELL for the Dodgers this July. An ASG card of Brett Gardner, who's finally making a name for himself in the Bronx. And yet another buyback, this one of Dave Rader. And DOUBLE-DONALDSON. Nice to get two great cards of the guy who's likely gonna be our AL MVP. 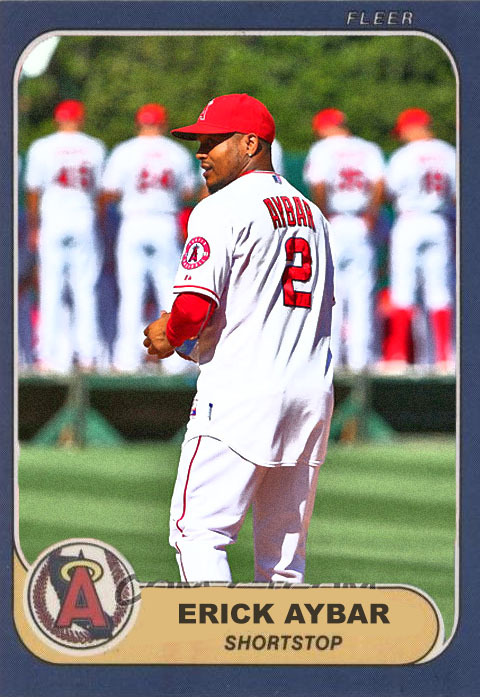 Pack 26- It's at times like these that I remember that Hank Conger is still on a Major League Roster. Gerardo Parra, a guy who was awesome for the O's during the second half, and a gold parallel of Leonel Campos. Yeah, gotta post this. Hell of a Yankee. Good luck holding up shop in Miami, buddy. I love that Moss had a nice second half with the Cards. I also love that Shelby Miller could potentially be the anchor of a revitalized Braves roster next year. Adam Jones, once again representing in the ASG, and a rookie card for everybody's favorite switch-pitcher, Pat Venditte. Carlos Correa, a guy that I saw up close, and let me assure you all. He's for real, he's talented, and he's going places. Figured I'd post this. Banuelos was in the Yankee system for years. Never panned out, so we traded him to the Braves. He did...alright this season. I love that Dexter Fowler is back to having awesome seasons, especially now that he's on the Cubs. And our gold parallel is of Shawn Tolleson, the Rangers new closer. Our BLACK PARALLEL, which is numbered to 64, as in 64 Years of Topps Baseball, is of Steve Cishek...a friggin Cardinal. I mean, I'd be happy if Cishek was still playing well, but he tanked in Miami this year. Meanwhile, YOENIS CESPEDES is a marvel. He's keeping this Mets team relevant and alive. 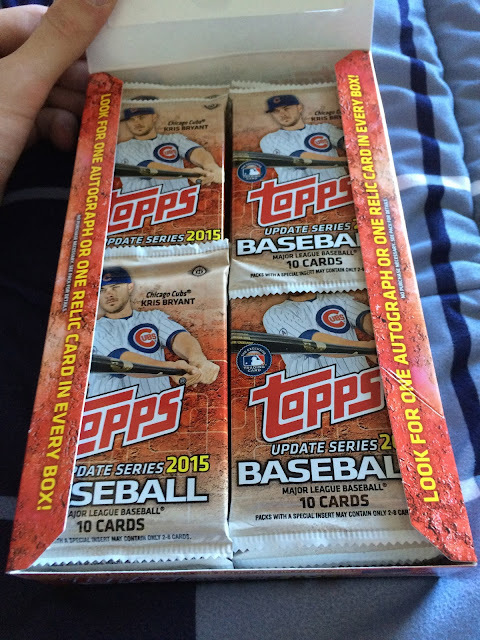 Pack 28- Holy crap, SAL BANDO. WOW. Two great horizontals. The Joc has enough going on in the background. The deGrom & Harvey one is just awesome. Meanwhile, a card of a guy who's gonna get a ton of MVP votes this year, Anthony Rizzo, who I adore. Andrew Miller, a guy who went from trade fodder for Miguel Cabrera, to the best closer in the American League. And Matt Holliday, a guy who was having a wonderful season until he got injured. My buyback here is a '69 Topps Sal Bando, which is actually pretty awesome. And a ASG card of Jason Kipnis. Love this card. Love Posey, and love MadBum. I also love that MadBum can get a silver slugger as a pitcher. Bolsinger was a decent #4 guy for the Dodgers this year. Chris Young actually had a pretty nice season for the Royals, completing his career renaissance that started in Seattle last year. I love this card. Making it a Horizontal ups the fun factor. This will likely be Aramis Ramirez' last card, and it's a pretty freaking nice one. Aroldis Chapman looks pretty great here, silly ASG caps notwithstanding. Aw, cool, a Gold Parallel of Joey Gallo, a guy who had some great games for the Rangers...and then stopped hitting. And my Rarities is of Billy Williams, a guy who you don't pull cards of everyday. Pack 30- I got another pretty nice rookie in this one. Mike Fiers was plucked from Milwaukee to throw a no-no for Houston. Which is nice. My gold parallel is Chi Chi Gonzalez. Pretty nice, I guess. Albert we've already seen. Hansel. HANSEL? Derek Norris may very well have been a fluke, but I like his stuff and hope he keeps it up. Ted Williams is a guy you can't help but respect. Brad Miller had a nice breakout season, but he's nothing compared to Addison Russell, who became the crucial fourth piece in one of the most intimidating infields in recent history. 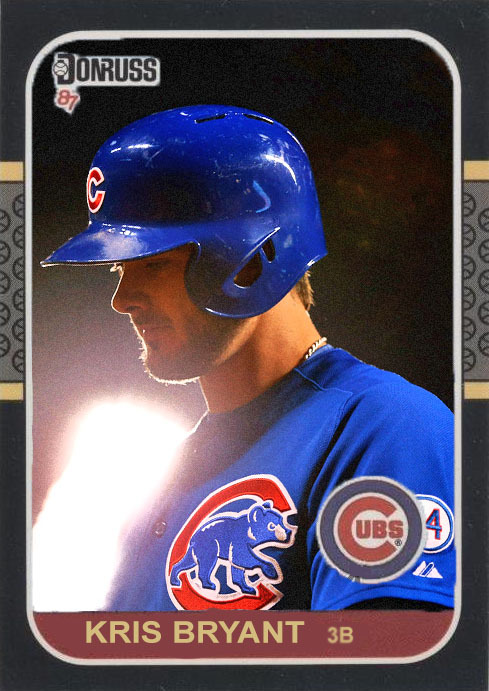 Pack 31- Revenge of the NL Central. Michael 'The Pufferfish' Lorenzen, who is one of the few arms they have left in Cincinnati. Michael Morse, who's awesome for whoever he plays for, in Pittsburgh. Always nice to pull a Doc Gooden. And Brock Holt, as we've discussed, is having some great at-bats in Boston. I love the career-renaissiance that's happened with Jason Heyward. He really deserves it. Two guys that will be LIGHTING UP the NL Central over the next few years. Pack 32- Lots of pitchers. Don't really know Herrera, but I love this card. Chris Young, who had some awesome games for my Yankees, and Bryce Harper, who finally showed Washington what he was capable of. And King Felix, still one of the best pitchers in baseball. Pack 33- Getting down to the wire. I saw Clippard's first game as a Met, which is nice. Perkins and Gallo had some okay seasons. I forgot that I already pulled Kipnis. Smoltz FINALLY made it to the HOF this year, which is really cool. Two guys who didn't do nearly as well as they did last year. Hawkins is probably retiring after this season. Pack 34- Oh, hello there. I do enjoy this card. The shadow they put into his uniform, especially. Two really nice ASG cards, especially Tex. It's not a bad one. I mean, yeah, it's Brandon Crawford, a guy who FINALLY had an awesome season this year. This is a pretty sweet pull, and it's a colored swatch. Not my #1 choice for a hit, but I'm still pretty satisfied. 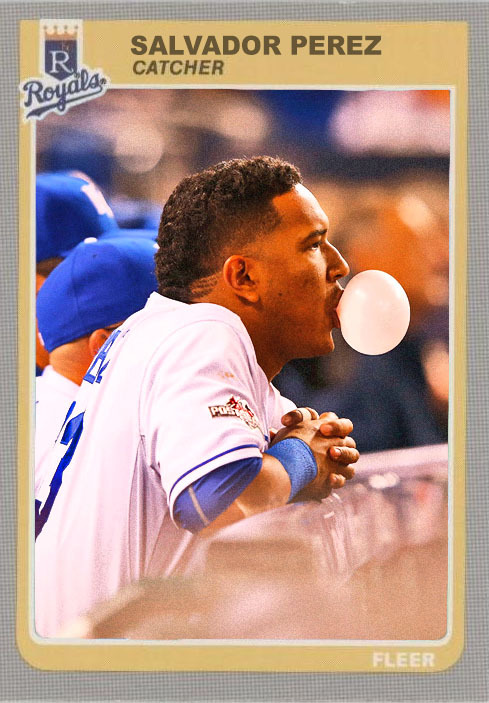 Gold parallel of Randall Delgado. Base card of Shawn Tolleson. The Cabrera is an extremely nice one. The Trout is yet another Mike Trout insert for my binder. Hey guys, it's the 2014 World Series!! Except for Volquez. He's a guy who's probably gonna save the day tonight for the Royals. Herrera and Posey, though, are pretty nice. Pack 36- The very last pack. Here are my inserts- a gold parallel of Rockies backup Michael McKenry, and a Guardians of the Superstitions insert of Justin Verlander. Also, here's a rookie of Boston standout Eduardo Rodriguez. I forgot to rotate this one, but it's a cool ASG card of Prince Fielder. Kazmir had some decent starts with the Astros. Panik was an All Star this year, which made me very happy, as he's a wonderful little player. Matt Kemp had a slow start, but an explosive finish in San Diego. Noah Syndergaard is possibly the toughest pitcher in New York right now. You saw how he took a win away from the Royals. You see what he can do to people. He's pretty scary. So, that was the box. It was fun, it was rookie-filled, and I got a nice hit out of it. What more can I say? Review- B+. Obviously this set isn't perfect, and there are some little notches, like variations, bland inserts, and some formulaic photo selections, but overall, it's Update. It's a fun product, and there's a lot of joy out of seeing players in new uniforms.